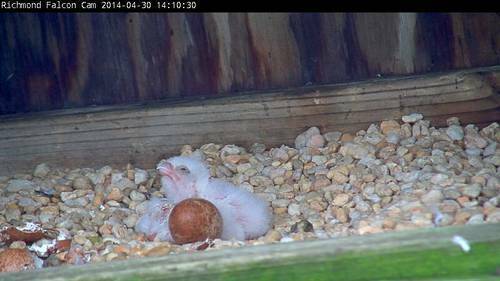 Hot on the heels of the emergence of the first chick, the second of three eggs has hatched, with the hatch occurring sometime in the late morning. 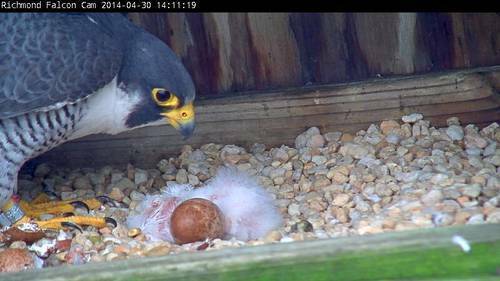 Hatching of the clutch is fairly synchronous in peregrine falcons, with the first and last eggs typically hatching within 48 hrs. 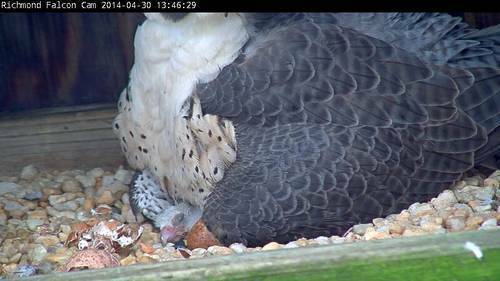 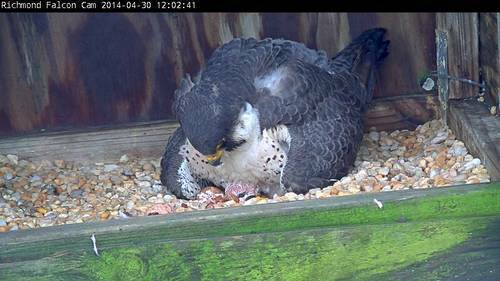 A second feeding by the female took place at approximately 2:20 pm (see video below).